We all know the famous Curve by Liz Claiborne. It's fresh, green, slightly synthetic, but most of all very very cheap. Because it's dirt cheap, it's very popular. Every boy has had a bottle of the green stuff when they were a teenager. The invigorating smell brings back memories of the good old days. Though this is only the case for American people. Where I live (Belgium) this stuff is very hard to come by. 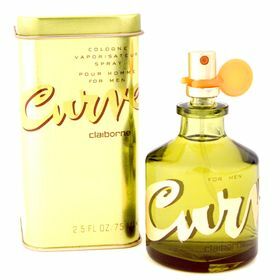 I got my bottle of Curve from T.J. Maxx when I visited NYC. It cost me around 16$ for a 75ml, so I didn't think twice before grabbing a bottle. The fragrance itself is fresh, green and clean. In the opening it has the same vibe Abercrombie’s Fierce. The pineapple and lemon have a very energetic feeling and stay during the whole life of the fragrance. This means that Curve is very linear which a bad thing isn’t because the opening is the best part of this fragrance. Is this a masterpiece? No! Is this something that true collectors that are looking for something unique? Hello no! Doe this smell bring back memories and make you feel fresh and clean during a hot summer day? Yes! For the price you can't go wrong with this one and that's what counts for most people that aren't into fragrances as much.